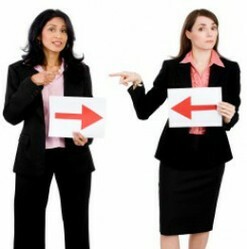 This article provides useful tips which will help you avoid conflicts in the workplace. Everyone has different approach to work, money and life and this clash of interests gives rise to conflicts between individuals. Though conflict with anyone is undesirable, it should be strictly avoided at workplace. Unnecessary conflicts with your colleagues and seniors would not only give you more stress at work but it may also put your job in jeopardy. To avoid all this, it is necessary to avoid conflicts as much as possible and to solve them soon, if they occur. This is where knowledge about conflict management comes in handy. These following Conflict Management tips will help you immensely in avoiding conflicts at workplace. Ignoring the conflict works most of the time. Sometimes doing nothing about the conflict is the best solution. So try to ignore the conflicts which are trivial in nature or conflicts which may create controversy. Smoothing simply means covering up the conflict by appealing for the need for unity rather than addressing the issue of conflict itself. While the suggestion of ignoring the conflict may work for individual employees, it is not a desirable behavior from supervisors and managers. Supervisors and managers should always be understanding and supporting of both the conflicting parties and try to work out a solution which is acceptable to both of them. Compromising is a situation in which conflict is resolved by accepting and fulfilling some demands of both the parties. It is a give and take situation and is a powerful way of resolving conflicts. As Weber puts it, "The simplest conceivable conflict solution is the elimination of the other party - to force opponent to flee and give up the fight or slay them." In forcing, one party wins and other loses. This technique is commonly used in hierarchical situations, where the person in authority always wins. This technique involves confronting the problem and finding the best solution. This technique seeks to eliminate the root cause of the problem. It is noticed that if there is greater trust and effective communication within a team, then there would hardly be any conflicts. So managers and supervisors should encourage employees to communicate openly with each other. This would help in reducing the number of conflicts in the workplace. A company should define and state it's goals clearly. The goals should be aligned with the goals of the employees. Every employee should be made aware of their roles. Proper coordination will reduce the number of conflicts among employees. Managers and supervisors should take care to see that all the activities are properly coordinated. 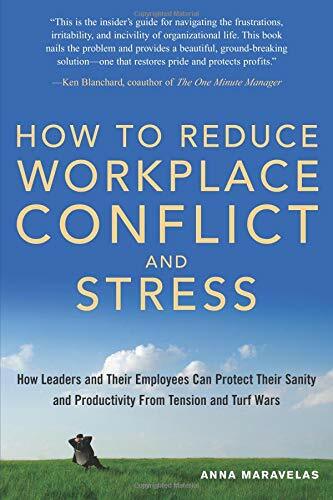 "How To Reduce Workplace Conflict and Stress" is a must read if you are looking for simple and practical solutions to reducing conflicts and stress at workplace. The best thing that I like about this book is that you can try the suggestions mentioned in the book and see immediate results. This book has a full 5 star consumer rating on Amazon. That says it all! !